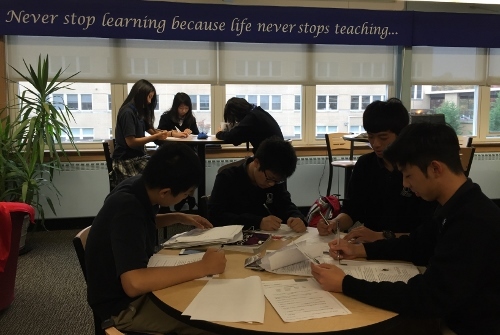 Donovan Catholic partners with Ivy International Group to recruit, process and provide homestays for international students. Please contact Anna Katten through her email at akatten@usivy.net for more information. The application can be downloaded here. Located in the heart of Ocean County, Donovan Catholic provides an ideal environment for international students to explore the east coast of the United States. A little more than an hour’s travel from both New York City and Philadelphia, Donovan Catholic is the perfect location. The 2018-19 tuition for international students is $16,260 which includes a laptop computer and the $50 Smart Tuition fee. Tuition must be paid in full when the student is officially registered as a Donovan Catholic student. Following is a list of items that must be presented to the Admissions Office in order to be eligible for an I-20.